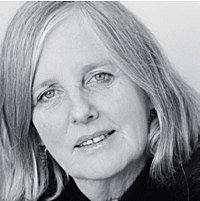 Fiona Farrell was born in Oamaru and educated in Otago and Toronto, where she wrote her thesis on T. S. Eliot and poetic drama. Her publications include three collections of poetry (Cutting Out in 1987, The Inhabited Initial in 1999 and The Pop-up Book of Invasions in 2007), two collections of short stories (The Rock Garden, 1989, and Light Readings, 2001) and six novels (most recently Limestone, 2009). The Hopeful Traveller, Book Book, and The Pop-up Book of Invasions were all shortlisted for the Montana New Zealand Book Awards in (respectively) 2003, 2005 and 2008. 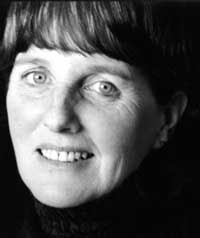 She was writer-in-residence at Canterbury University in 1992, received the Katherine Mansfield Fellowship to Menton, France in 1995, and held the inaugural Rathcoola Residency in Donoughmore, Ireland in 2006. She also participated in New Zealand Book Council Words on Wheels tours in 1993, 1997 and 2001. Her poems and stories have been widely anthologised. She has appeared at several festivals, including the Edinburgh Festival and the Vancouver International Writers and Readers Festival in 2006. 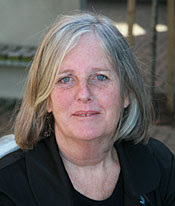 In 2007 Fiona Farrell was the recipient of the Prime Minister's Award for Literary Achievement for services to New Zealand literature, in Fiction. Cutting Out. Auckland: Auckland University Press, 1987. The Inhabited Initial. Auckland: Auckland University Press, 1999. The Pop-up Book of Invasions. Auckland: Auckland University Press, 2007. Song of the Shirt: Three One-act Plays for Young Actors. With Paula Boock and Renee. Dunedin: John McIndoe, 1993. The Rock Garden: Stories. Auckland: Auckland University Press, 1989. The Skinny Louie Book. Auckland: Penguin New Zealand, 1992. Six Clever Girls Who Became Famous Women. Auckland: Penguin New Zealand, 1996. Light Readings: Stories. A Vintage Book. Auckland: Random House New Zealand, 2001. The Hopeful Traveller. A Vintage Book. Auckland: Random House New Zealand, 2002. Book Book. A Vintage Book. Auckland: Random House New Zealand, 2004. Mr Allbones' Ferrets. A Vintage Book. Auckland: Random House New Zealand, 2007. Limestone. A Vintage Book. Auckland: Random House New Zealand, 2009. The Broken Book. Auckland: Auckland University Press, 2011. The Quake Year: Interviews. With photographs by photographer Juliet Nicholas. Christchurch: Canterbury University Press, 2012. 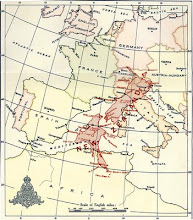 The Villa at the Edge of the Empire: One Hundred Ways to Read a City. Auckland: Penguin Random House New Zealand, 2015. Decline and Fall on Savage Street. Auckland: Penguin Random House New Zealand, 2017. The Best New Zealand Fiction. Vol. 4. A Vintage Book. Auckland: Random House New Zealand, 2007. Fiona Farrell in Conversation with Iain Sharp, in Words Chosen Carefully: New Zealand Writers in Discussion. Ed. Siobhan Harvey. Photography by Liz March (Auckland: Cape Catley Ltd., 2010): 262-82.